Millennials are responsible for almost a third of drink-driving detections - and should know better, according to Garda Assistant Commissioner David Sheahan. Garda figures revealed 30pc of those found to be drink-driving were millennials - those born between the early '80s and mid '90s. He said the number should be far lower as millennials have grown up in a different culture. Mr Sheahan also highlighted a major gender disparity between offenders, with 86pc of those detected being men. "I would have expected those people who are millennials in many respects would have learned from their forefathers that drunk driving was no longer acceptable," he said. 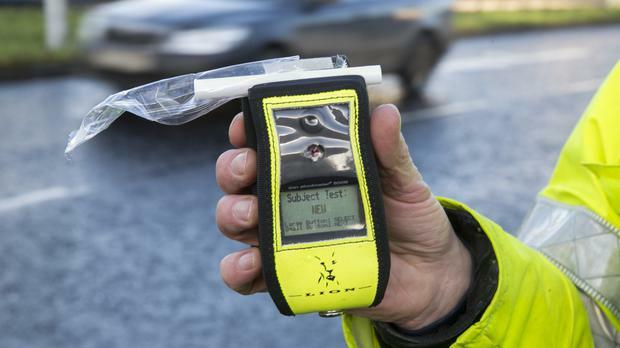 "They're way over-represented and they account for 30pc of all drunk drivers in a year. "So my plea to those people this year is if you're going out, I want you to go out, I want you to enjoy yourself, but if you're considering taking your car, the consequences are great for you. I would say don't drink and drive." Speaking about the gender difference, he said: "It's unbelievable that number of males are taking the risk. At least our female cohorts are actually listening to some of our messages but obviously the males are not listening to it". Road Safety Authority CEO Moya Murdock said: "Alcohol plays a big factor in the millennial lifestyle, they enjoy a good time. It's hard for them to step up and say I'll drive tonight or it's my turn, or they're maybe strapped for cash and don't want to order a taxi home, it adds to the cost."